Denim is a wardrobe staple for women, men, and children all around the globe. Whether you’re rocking a denim jacket or jeans for tall women, this stiff blue fabric is one of the few fashion icons that truly never goes out of style. For most of us, when we’re shopping for jeans, we’re thinking about finding the right fit for our body and our overall wardrobe. Today’s selection of jeans for tall women now includes a wide variety of styles and colors, from skinny jeans to bootcut to relaxed fit “boyfriend” jeans. But do you know the real history of jeans? It might surprise you! But the fascinating history of jeans doesn’t end there. In 1853, during the San Francisco Gold Rush, a Bavarian immigrant brought denim pants to America. He began selling them to gold miners who needed clothes that could withstand the rough terrain and harsh elements. You’ve probably heard this man’s name; you might even be wearing it right now. His name was Levi Strauss. Although the earliest jeans were worn by miners, cowboys and other rugged, outdoorsy types, the history of jeans continued to unfold and soon expanded to all walks of life. The upper classes soon began to wear jeans during polo matches and other equestrian sports because the stiff fabric stood up against the rougher aspects of horseback riding. 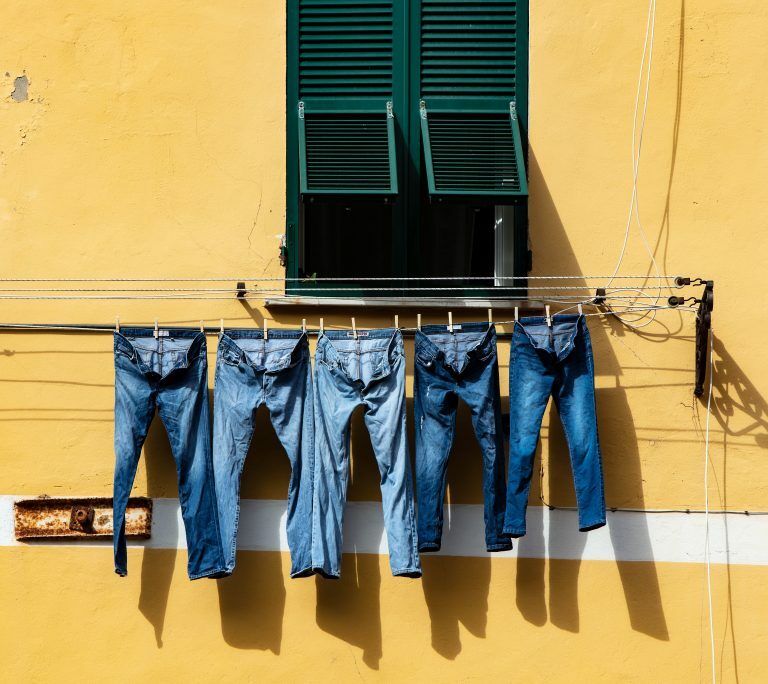 As wealthier people and people living in cities began to wear jeans, more manufacturers got into the game and began producing denim clothing in different styles and even colors. Early denim history aside, many fashion historians attribute the enduring appeal of denim to pop culture film icons in the early 20th century. Jeans became trendy long before the Internet or social media gave celebrities a platform for sharing their style. When Hollywood actors began wearing jeans, these pants – once reserved for working, camping and sporting – suddenly became some of the first must-have staples for early fashionistas. As for jeans for tall women, we can thank Marilyn Monroe for bridging the denim gender gap. Monroe wore jeans in her famed role in The Misfits, showing the world that ladies can also rock a pair of blue jeans with attitude and sophistication. Today, jeans are manufactured all around the world, though many believe the best denim is made in Japan. According to one statistic, 39% of all jeans are purchased by North Americans, but this fabric is worn by all kinds of people around the world. As a fun challenge, try to go a day without seeing someone in a pair of jeans. We bet you can’t! At Alloy, we honor the history of jeans by offering some of the highest quality jeans for tall women and curvy women alike. Today’s denim may not be your grandma’s jeans, but no wardrobe is complete without a pair of pants made from this modern day serge de Nimes.